Barb @ Booker T's Farm hosted the They Call It Puppy Love challenge during the month of February. I had a lot of fun trying to fit as many dog books in the month as I could. I had hoped to get a few more read during the challenge but I am happy overall with my results. I completed 5 books towards the challenge. 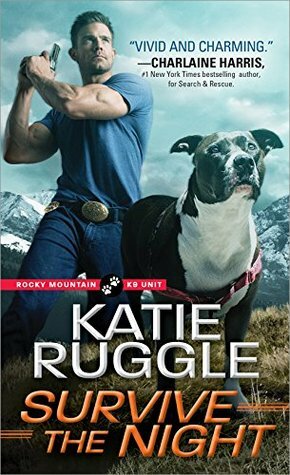 Survive the Night by Katie Ruggle - Otto has a whole bunch of animals to keep this book interesting. There is a retired police dog, a dog he hopes to train for K9 work, a horse, and a goat. 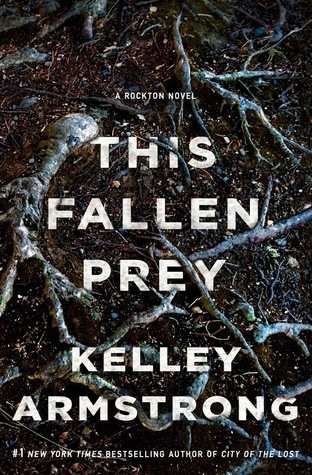 This Fallen Prey by Kelley Armstrong - I didn't go into this book thinking that it would count for this challenge but the puppy, Storm, plays a huge role in the story so I am counting it! Have you read any of the books that I read for this challenge? 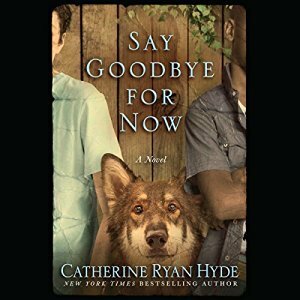 I love the dog on the cover of Say Goodbye For Now! I love doggie romance stories! This is quite a challenge. 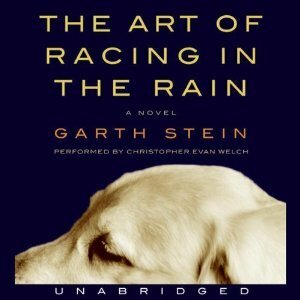 I am trying to think if I read any books featuring dogs, and maybe 2 featured dogs enough to count. Kudos for finding that many books for the challenge. I used the challenge to push me to get some of my books off of my tbr pile. I really thought I would get a lot more audiobooks done. Cute challenge idea! I've only read Survive the Night. I really enjoyed Survive the Night! This Fallen Prey turned out to be a pretty good dog book! Storm is a great character in the book. I really enjoyed This Fallen Prey! I hope you enjoyed Tomorrow because I've preordered it and now I have another reason to start that Armstrong series. Hope you liked Say Goodbye for Now. It's one of my favorites! 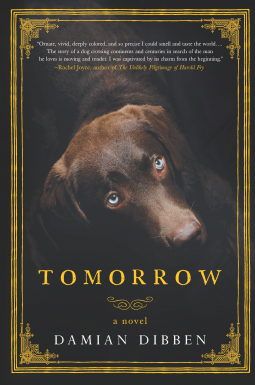 I liked parts of Tomorrow but didn't love it like I had hoped. I was actually rather disappointed by the book overall. I didn't do this challenge, but I did read This Fallen Prey and I agree it should count. I'm waiting for the audiobook of Survive the Night. I'm not familiar with the others, but can't wait to read your reviews. This Fallen Prey has such a wonderful character in Storm. I hope you enjoy Survive the Night! I haven't read any of these, but this challenge looks super fun. I didn't know there was such a thing. But I love that there is! Yay for puppies! This was such a fun challenge, wasn't it? I only managed to get one done because I'm a slowpoke.